Condition: Good, general age-related toning. Small worm hole, lower part folding line and a small spot in the middle. Please study image carefully. Image size: 36 x 30 cm. 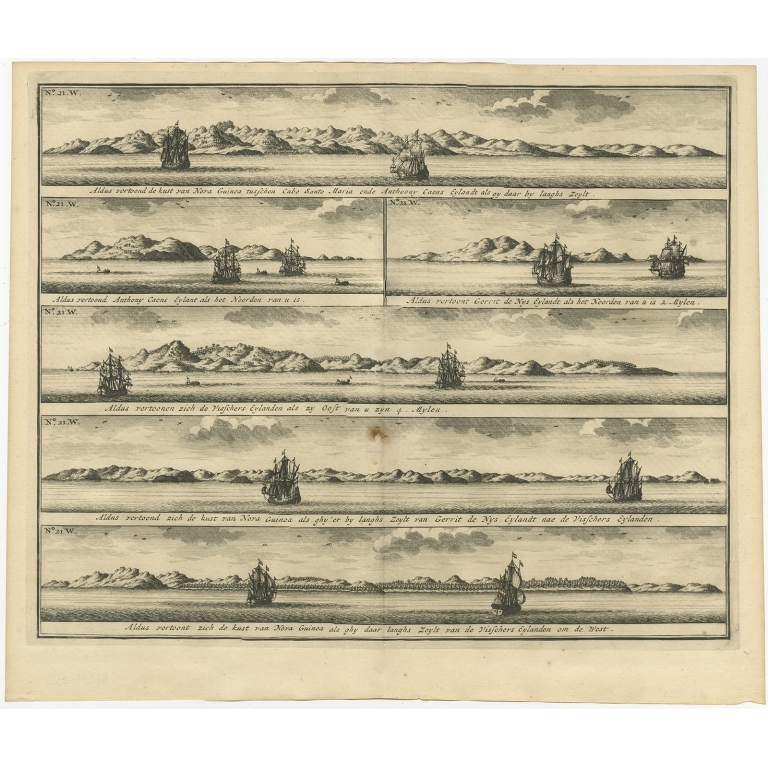 Description: Antique print titled 'Aldus vertoond de kust van Nova Guinea tusschen Cabo Santo Maria ende Anthoony Caens Eylandt als gy daar by langhs Zeylt (..)'. Various coastal views of New Ireland. 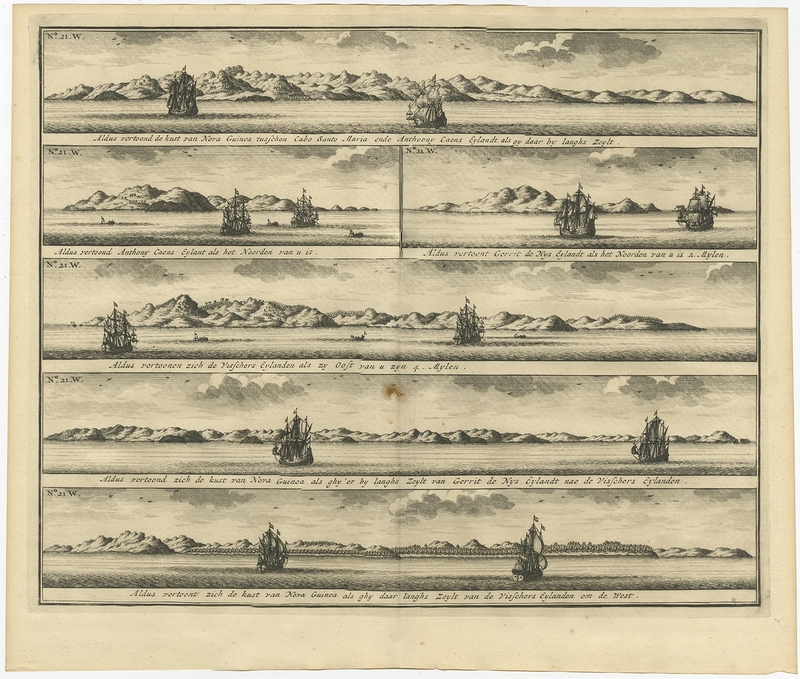 Abel Tasman, but also Willem Schouten and Isaac le Maire thought that these archipelegos were situated off the coast of New Guinea. But they were actually situated close to the island now known as New Ireland. Anthoony Caens island is now known as Anthony Kaan Island. This print originates from 'Oud en Nieuw Oost-Indiën' by F. Valentijn.